American Standard Bathtub Reviews: 9 Best Bathtubs on The Market. Durable and modern are two words that best describe the American Standard bathtubs. American Standard is not just a brand known for luxurious bathtubs, the brand also has a wide range of simple bathtub options for those who prefer a minimalist bathroom space. Let’s take a closer at these 9 favorites! 9 Most Favorite American Standard Tubs Review. 1 9 Most Favorite American Standard Tubs Review. 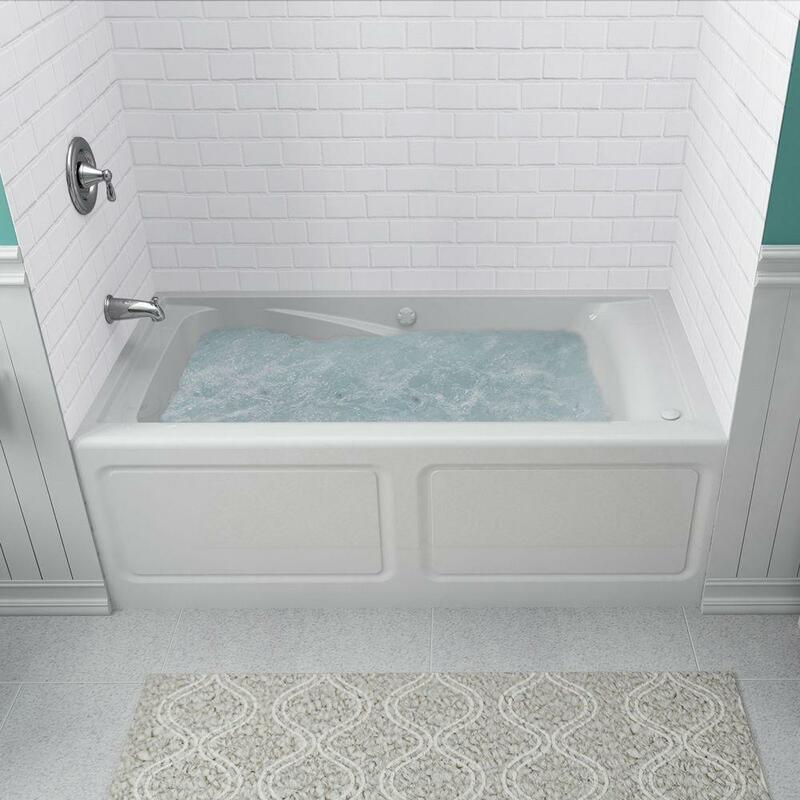 The American Standard Princeton 5 feet tub is a left drain rectangular bathtub that you can install at a recess in the wall. This one has a white finish, which is a standard color for a minimalist bathroom. In addition, this can hold up to 42 gallons of water. You can easily install this tub as Americast is lighter than cast iron. It has a lumbar support to ensure that you feel comfortable when soaking in the tub. The tub is non-slip for your safety. 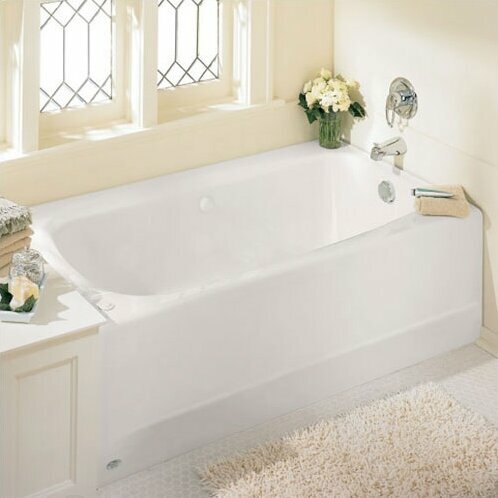 The Cambridge bathtub is also an alcove style tub, but this one can hold more water. Its maximum water capacity is up to 50 gallons of water. If you have a bigger build or just prefer bathtub with more space but still want to maintain that simplistic look, then the American Standard Cambridge Alcove Bathtub is a great choice. It is available in various colors, but the white one gives the most elegant feel. It has its drain placement on the left, but you can also order one with a right drain placement. You can choose the placement of the drain, either left or right. American Standard continues to impress a lot of customers since the launch of their new bathtub system, the EverClean Whirlpool bathtubs. This Rectangular Alcove Whirlpool Bathtub utilizes the EverClean technology which prevents the growth of bacteria in your tub. These bacteria are the common cause of bad odor, mold, and mildew in your tub water. This tub can hold up to 70 gallons of water and has a left drain placement. Do you fancy a freestanding tub? Then this tub is for you. It is made from acrylic and is available in Arctic white color. This tub can hold only 58 gallons of water and has a modern style to suit your taste. Oval freestanding tubs are a great statement piece in your bathroom. In fact, most luxury bathtubs nowadays have a freestanding design. It’s a classic freestanding tub that can instantly add character to your plain-looking bathroom. Its drain placement is reversible. 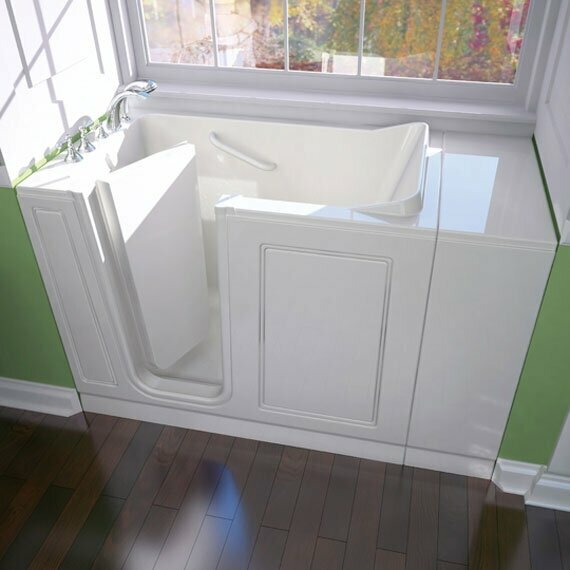 The corner drop in bathtub is perhaps one of the most interesting American Standard tubs on the market recently. 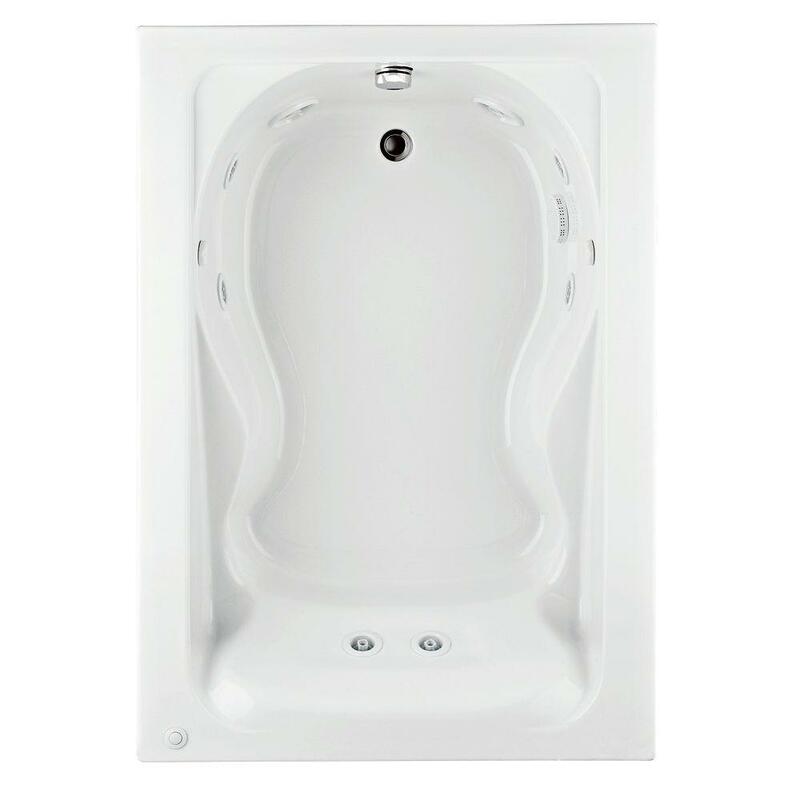 It’s a jetted whirlpool oval shape tub but has an extension to fit the corner of the room. It also integrates the EverClean circulation system. Furthermore, it can hold up to 86 gallons of water. It’s a minimalist yet modern bathtub. Its jets are adjustable to any directions with 3 setting options. This is a whirlpool bathtub with reversible and adjustable jets. Made from acrylic, the tub has a glass-like appearance but with better transparency. You can fill the tub with up to 63 gallons of water. The Savona oval bathtub by American Standard is also a whirlpool tub with an EverClean hydro massage system. This is an acrylic bathtub engineered with great features such as a pre-leveled tub bottom, antimicrobial system, and adjustable jets. 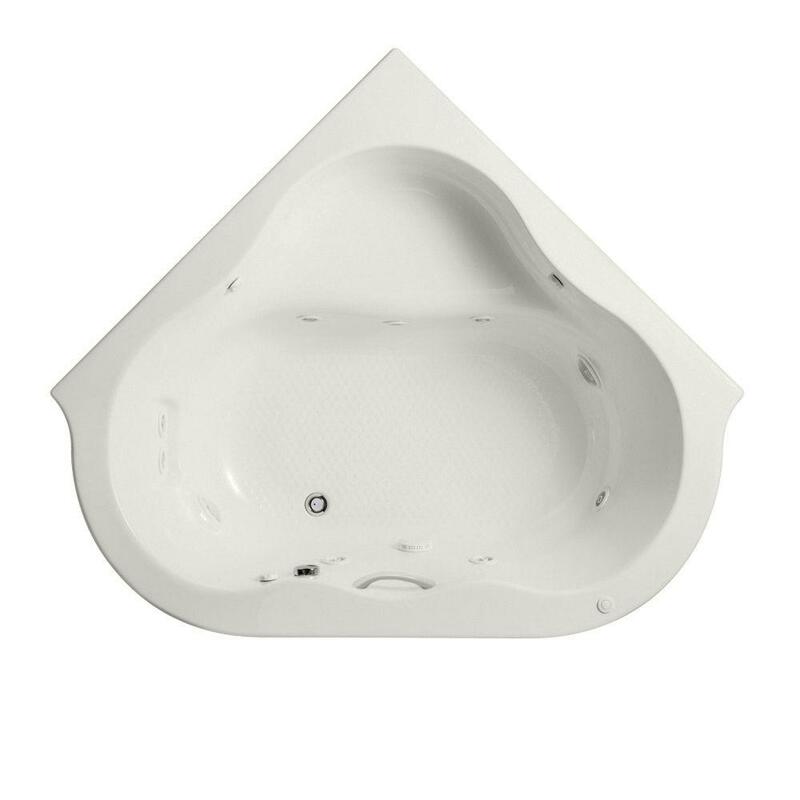 A lot of customers in different American Standard bathtub reviews rank this one as the best ever tub with air control and massage jets. It’s a drop in tub, so the installation is pretty straight forward. Its jets are low-noise, so you can have a restful soaking time. Its circulation system stops mold, mildew, and other bacteria to thrive in the tub and its pipes. Looking for the best American Standard bathtub that is stylish and efficient? You’ve got the best model right here! 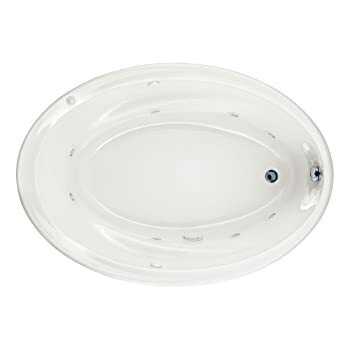 This left drain classic style cadet whirlpool bathtub has one of the most advanced bathtub features. It can hold water up to 55 gallons. Moreover, a lot of its users commend how comfortable the tub is. 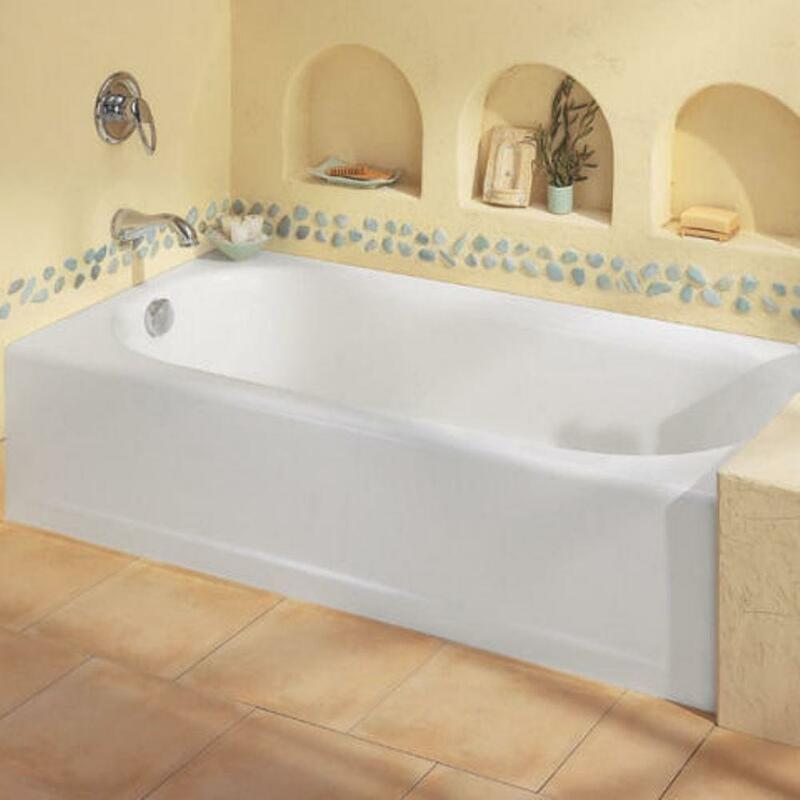 You can also expect to use this tub for a long time as it is made from premium acrylic and fiberglass materials. 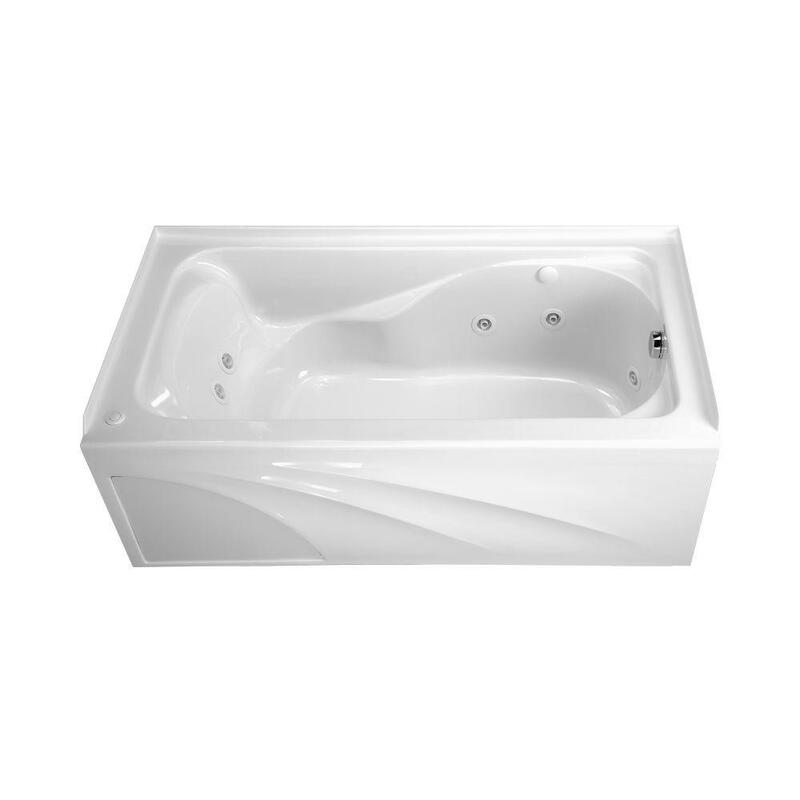 Its fiberglass reinforced acrylic material makes the tub even more durable. It has a built-in flange for your bathtub shower and faucet. This left drain bathtub is a bit smaller with only 45-gallons of water as its maximum water capacity. Still, the walk in bathtub offers good value to your money. It may be small in size, but this is packed with amazing features that you can’t find in other American Standard Tubs. Read on below to find out why this tub makes the cut on our list! American Standard has proven itself as one of the most reliable bathtub brands that offer quality bathtubs and other bathroom fixtures. If we are to recommend the best-value bathtub from the list, it will be the American Standard Cadet Left Drain EverClean Whirlpool Bathtub. It has an antimicrobial water circulation system, which is a must to maintain a germ-free tub water. 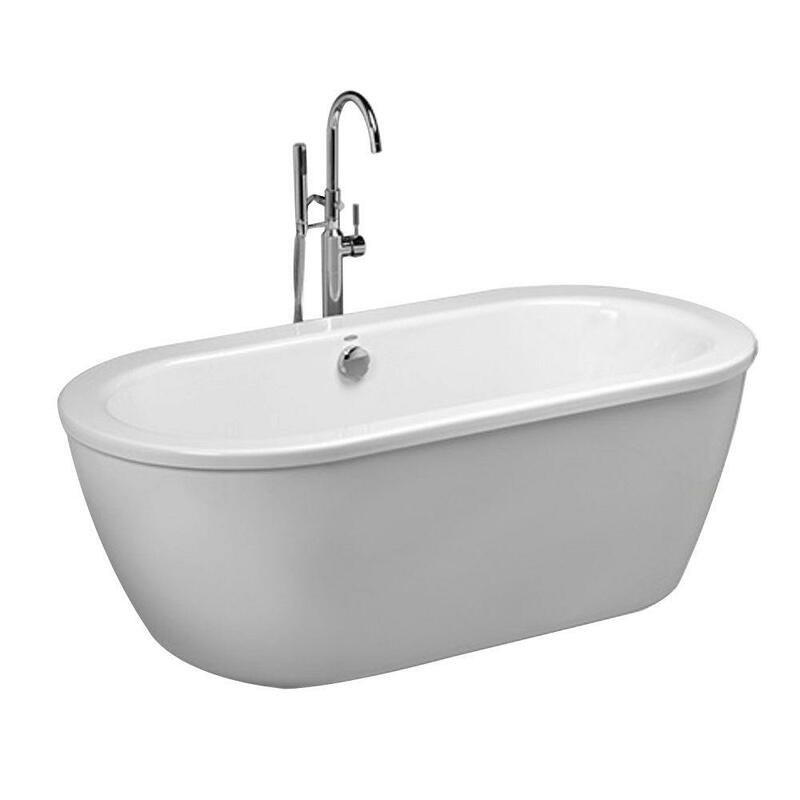 Also, its jets are adjustable, and lastly, it’s cheaper than most American Standard tubs.